It is a common conception among the politically-engaged American public that China and the Chinese Communist Party (CCP) speak with one voice and think with one mind. In many respects, that is the public image that the CCP has been able to successfully showcase to the world. The prime example of this being the 2008 Beijing Olympic opening ceremony. With the drums, fireworks, traditional dresses and other communicative tools—the spectacle did more than just entertain audiences. It was meant to show the world that China was ready to take its place in the world as one of the world’s great nations—and to do it with the unified voices of 1.3 billion people. In reality, this could not be further from the truth. Although China is a one party state, the CCP has many factions vying for control and power with each faction believing that their representative vision is the best way to guide the country and the party. Indeed, this is a natural occurrence of any political system. Factionalization allows for a diversity of viewpoints to propagate. However, the Bo Xilai scandal and his subsequent removal from office last year has highlighted the fragmented nature of the CCP to an alarming degree. The incident came into the international spotlight when Wang Lijun, Chongqing’s police chief tried to seek political asylum at the United States consulate in Chengdu. He had evidence that his boss, Bo Xilai, and his wife, were responsible for the murder of British businessman Neil Heywood. Neil was a liaison between Western companies and Chinese government officials including Bo Xilai. The media attention this drew to Bo Xilai and his wife has brought out other fraudulent acts he committed including taking bribes and even wiretapping top party officials such as Hu Jintao. The attention of international media added restrictive audience costs to the actions of the CCP when dealing with the incident. The internal rifts and conflicts of the political game between upper level CCP officials were alluded to in news stories. The government had to play damage control. Instead of the usual tactic of pushing the proceedings behind the scenes, they made the trail of Bo Xilai and his wife a public affair and allowed media coverage of the legal proceedings. The reasoning behind this was to weaken his image among the public and to prevent his supporters within the party from causing any more trouble. One may be asking themselves, “Who is Bo Xilai, exactly?” Before the incident, his name was unrecognizable in the West. He is the son of Bo Yibo, one of the “Eight Elders”, a group of eight senior party officials which held great sway over the party and country in the 1980s and 1990s. Consequently, Bo is considered a “princeling”. This term applies to top officials who are the descendants of senior officials during earlier generations of leadership. While this is an informal grouping and there is no “princeling” faction of the CCP, the term highlights the breadth and influence of hereditary lineage in the dynamics of power in the country. Indeed, he followed in his father’s footsteps by moving up the political ladder. His rise through the party apparatus was due to the adept practicing realpolitik–allying with higher officials sometimes by helping them oust their political rivals. Yet, he fancies himself a populist—following the ideals and values of the Maoist era. His pillar achievements include his campaign against organized crime, increased funding for welfare and social programs, maintaining double digit growth and a revival of the “Red” culture from the Cultural Revolution. This has been called the “Chongqing Model”. Since 2007, he has been the party secretary of Chongqing, one of the largest cities in China. Many experts predicted that he would be elevated to the top governing body, the Standing Committee of the Politburo in the 2012 leadership transition. However, the revelation of the scandal made sure that would never happen. Nonetheless, his model and values has created many opponents within the party. Throughout the history of pragmatic politicking in the CCP, in order to reach the top leadership body of the country, members had to assume belligerent stances against the current leadership establishment in order to bolster the strength of their political network. In a Machiavellian ploy, he wiretapped many of the top CCP members, including Hu Jintao. The crux of the issue is that in order to move up the chain of command, an ambitious person has to seek patronage from higher party members and knockout potential competitors. No doubt, the party structure has internal political competition built into it. 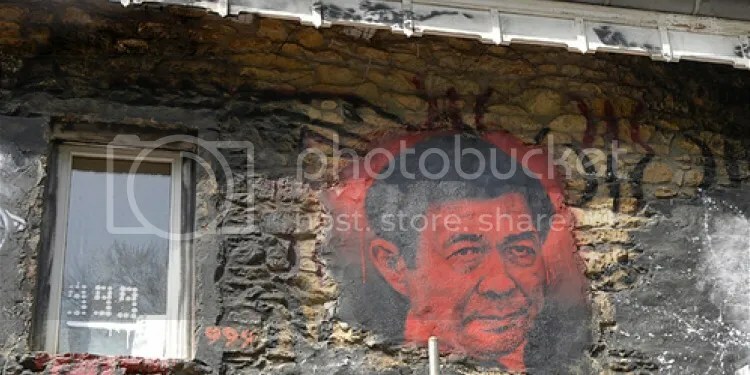 It is astounding that journalists and the general public are surprised by the spectacular downfall of Bo Xilai, given that these episodes are commonplace in the Chinese Communist Party. To take a notorious example, The Tiananmen Square Protests and Massacre epitomize this inner political turmoil. Deng Xiaoping, the “paramount leader”, was able to open China to the world and pursue capitalism with Chinese characteristics despite opposition from hardliners. However, he was not able to totally politically defeat opposition leaders. In fact, many conservatives were able to hold on to key positions. For example, Li Peng, Premier, and Li Xiannian, Chairman of the CPC, both opposed further economic and political liberalization yet were key figures in the conservative wing of the party. On the other side of the aisle were the reformists. They were led by Zhao Ziyang, General Secretary of the Central Committee at the time of the protests. Even before the protests, there was already conflict between the two sides. As things escalated, the party was put in a difficult position, and appeared to be losing control of the situation. In China, losing face incurs serious audience costs and has repercussions that can prove lethal for a political career. Deng Xiaoping was ultimately the one to make the decision. Due to the combative and uncompromising nature of the student leaders, party leaders could not find a way to diffuse the situation. As a result, hardliners pushed Deng to order a military crackdown on the protesters in the square. Using pressure, the hardliners gained the upper hand in the Standing Committee and Politburo and Deng was compelled to order a coercive diffusion of the protests. In the wake of the fallout, both Zhao Ziyang and Hu Qili, who were leaders in the reformist camp, were expelled from the Standing Committee, with Zhao being put under house arrest for the rest of his life. Wan Li, another CCP reformer was also put under house arrest while Qiao Shi, a conservative, was put in a ceremonial post with power. Overall, the hardliners took control of the party and country which ultimately led to Deng’s resurgence in the Southern Tour a few years later. These high profile political battles have quite an illustrious, yet notorious, history. Indeed, they have always been part of the system. The sooner American politicians and policy makers factor this into political calculations; the better the country will be at diplomatically dealing with China in the future. The Tank Man. Dir. Anthony Thomas. Prod. Anthony Thomas. 2006 PBS Frontline, April 11, 2006. DVD.